Planning, Praying, Playing: School glorious school! 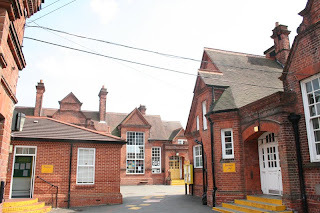 I went to Alfred Sutton Primary School, and honestly believe that I received a well-rounded education. I had the opportunity to play various instruments, take part in sports, learn the usual academic stuff, do drama and singing lessons, and even paid 5p for fellow pupils to decorate my hand with henna during our lunch-breaks! I loved primary school and want pretty much the same for Little Miss O - only better - in every aspect! What Mum doesn't...?! It seems like only yesterday that Little Miss O came into this world. Yet, two years, five months, and one day later, I made my first phone-call to enquire about schools. SCHOOLS! Not for me, but for Little Miss O. Sure, she goes to nursery and she 'learns' things. Sure, the other day she said 'je m'apelle Liana', and sure I felt myself burst with pride but school is another matter altogether! Of course academic achievement is important to me, and I want her to get the very best results that she is capable of, but more importantly I feel that school should be a place where little people can have fun, feel free, learn social skills, personal skills and generally build self-esteem and the confidence to excel at whatever they are good at! I want 'school' to be a place that fills Little Miss O with a thirst for knowledge, an interest in other people (from all walks of life) and a place that genuinely supports the effort that we are making as parents to help her discover what she enjoys - and what she doesn't. Now, that's a lot of things that I want from a school. I have spoken to everyone I know about local schools and to lots of strangers who I don't know and it seems that no school has this perfect combination of qualities. I know I'm being picky, but when it comes to Little Miss O, I have to be! So, choosing a school is SO SO hard. Even the fee-paying and religious schools don't tick all my boxes. Why does the 'best' school have to be the one with the highest academic attainment? Why is 'personal development' so much more poorly scored than 'academic development' in many of the so-called 'best' schools? How confusing....?!?! Why can't our little cutie have it all!?! What was the most important thing you learnt in primary school?